South East Asia Guide by a geographical map. 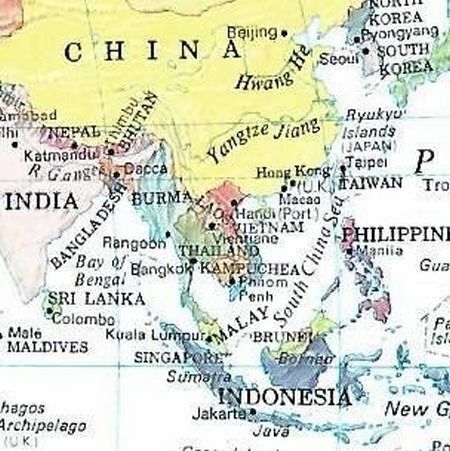 When we think of a Southeast Asia guide we usually mean the region South of China, North of Australia and East of India and West of New Guinea. We also think of possible seismographic happenings. This may be earth tremors. However, we may even fear Tsunamis, nowadays. Personally, even piracy and hijacking comes to our mind as well as human exploitation where no marine law interferes, as it simply doesn't exist. Overfishing which depletes fishing ground also may ring an alarm bell. However, the countries of Vietnam, Cambodia and Laos have a great attraction for people from Europe and from the West. Cambodia has most probably the most fascinating history and culture, as it is so old. Vietnam is often named as a friendly country where backpackers can find cheap accommodation. Also, occasional work is to be encountered there for Western young students who are willing to use their hands. Indeed, there are never enough people when something is to be harvested. Of course, we are talking of South Vietnam, as the North still hasn't opened its borders for everybody. By the way, we often hear Cambodia mentioned by people from Europe who travel there on day trips to renew their visas for Thailand. Those journeys are hard and a far cry from leisure trips like those offered by regular tours. Of course, you are bound to find more information in insider guides by websites whose links are below. The other very attractive quality of the South Asian countries of Vietnam, Laos and Cambodia are ways for adventure, such as the famous boat tours on the intriguing water ways of the Mekong. Then comes the cuisine with all its Eastern delights, its spices and its surprises. We used to recommend the information by the Indochina travel service for Vietnam, Laos and Cambodia with interesting package guide tours. However, it's not safe to link to them now, as shown by the Firefox Browser, unfortunately. The same applies to Way to Mekong.com. for their Mekong river boat cruises, tours and Vietnam Tour Mekong. July and August are in the middle summer in Vietnam. sunny, blue sky and white sandy beaches...all these are just waiting for your to enjoy. From Southeast Asia guide back to Tenerife travel Guide.